Amid allegations of anti-Semitism, the Women's March struggles to remain a safe space for everyone who supports the female agenda. The 2019 Women’s March is today and thousands are expected to gather in Washington, D.C. and many more in affiliated marches across the country. This year’s mass demonstration will be a smaller affair than the record-setting initial gathering in 2017. Sustained charges of anti-Semitism leveled against Women’s March organizers accounts for some of the dampened enthusiasm. Key sponsors, including the NAACP and DNC, have pulled their support in recent weeks and some sister marches have been cancelled by organizers concerned with these allegations. In October, a man shouting anti-Semitic slurs and armed an AR-15 murdered 11 congregants at the Tree of Life synagogue. The brutal hate crime clarified the deadly consequences at stake in public declarations of hate against Jews. In the aftermath, the Women’s March came under renewed criticism. In December 2018, Leah McSweeney and Jacob Siegel writing for The Tablet asked, “Is the Women’s March Melting Down?” Marshaling evidence from insider interviews, the authors leveled far reaching critiques of the Women’s March and its leaders including fiscal mismanagement, organizational failures, and anti-Semitism. 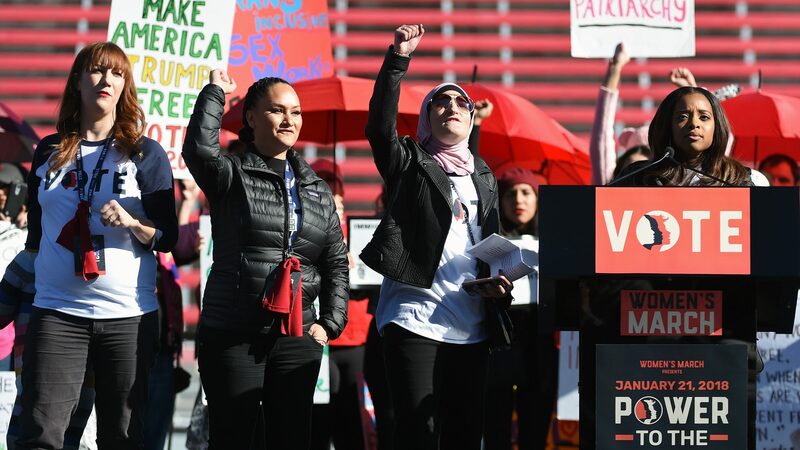 By their own admission, responses to anti-Semitism concerns by Women’s March national leadership have been slow and unsatisfying to many Jewish individuals and communities. Mallory’s appearance on ABC’s The View earlier this week in which she chose to separate Minister Farrakhan from his message, which is emblematic of the mounting tensions. Intersectionality is multi-faceted- operating as a theoretical tool of analysis, a descriptive term of political complexity, and a tool of legal practice and social action. In practice, intersectionality seeks to prioritize the concerns of those who experience multiple, overlapping inequalities. At its best, organizing by intersectional principles allows all to benefit by focusing on those with the greatest need. At its worst, intersectional organizing can touch off a counterproductive “oppression Olympics” as marginalized identity groups compete to be heard. The painful rift in the Women’s March appears fueled—in part—by the latter. Tamika Mallory is open to criticism and to growth, but insists her experience as a Black woman with a different view of Minister Farrakhan is valid and deserving of consideration. White Jewish women within and beyond the Women’s March point to the deadly consequences of anti-Semitism and demand that their concerns take center stage. And then there are those at the intersection at the heart of this situation—Black, Jewish, and feminist. I was first introduced to the intersection of Black, Jewish feminism by Rebecca Walker’s bestselling 2001 memoir, “Black, White, Jewish: Autobiography of a Shifting Self.” Walker spent a childhood shapeshifting between her father’s primarily Jewish community in the Riverdale section of the Bronx and her mother’s (author Alice Walker) Black enclave in San Francisco, all the while developing an intellectual and political standpoint that helped initiate feminism’s third wave. Working closely with writer Collier Myerson during our shared time at MSNBC offered the opportunity to observe a millennial, Black Jewish feminist navigate the challenging landscape of American politics and identity with tools inherited from earlier generations and forged anew in the contemporary moment. As the Women’s March takes place across the country today amid serious allegations of anti-Semitism, I once again sought out insights from those who truly understand the implications of being Black and Jewish in America. Here is my conversation with Adam Serwer, staff writer for The Atlantic, Chanda Prescod-Weinstein, assistant professor of Physics and Astronomy and Core Faculty Member in Women’s Studies at the University of New Hampshire, and filmmaker, activist, and journalist, Rebecca Pierce. While three voices alone cannot speak for entire communities with long, varied histories and experiences, this is in fact a place to start. theGrio: In the wake of mounting allegations of anti-Semitism within the leadership of The Women’s March, local organizations have cancelled marches and high-profile sponsors have backed out of supporting today’s event. Is this the right thing to do? Adam Serwer: If Jewish women feel their concerns about anti-Semitism are not being taken seriously by the Women’s March leaders, then they are perfectly within their rights not to support them. Part of being within a diverse coalition is the give-and-take over different group’s priorities, and if you feel like much more is being taken than given, then you should find someone else to work with. Chanda Prescod-Weinstein: The Women’s March was never my bag for a variety of reasons, but right now this whole situation feels a little bit like a high school popularity contest. The Women’s March was the “in” thing to do for a couple of years, and now they’re on the outs because, yes, coalition building is hard, but also because of accusations of anti-Semitism, which have almost entirely come from white Jews. theGrio: Some formerly supportive individuals and organizations are avoiding the Women’s March this year. For example, it seems none of the seven Democratic presidential hopeful will attend. Does participation in today’s event amount to implicit support of anti-Semitic beliefs? Adam Serwer: I wouldn’t say that, but I understand why people are upset that the Women’s March leadership won’t distance themselves from Farrakhan or the Nation would feel that way. Rebecca Pierce: This situation with the Women’s March is a really important opportunity for all communities involved to work together and learn from each other. Coalition work is challenging, but the current political moment requires that we face those challenges head on. From what I’ve seen, there is a lot of willingness on the part of the Women’s March leadership to learn from some of the past mistakes made from a position of defensiveness. It’s important to support the organizing coming out of this space and not dismiss the Women’s March entirely or treat those involved as disposable. This is something wish I could see more of in my own Black and Jewish communities where we still struggle with many of the same issues. 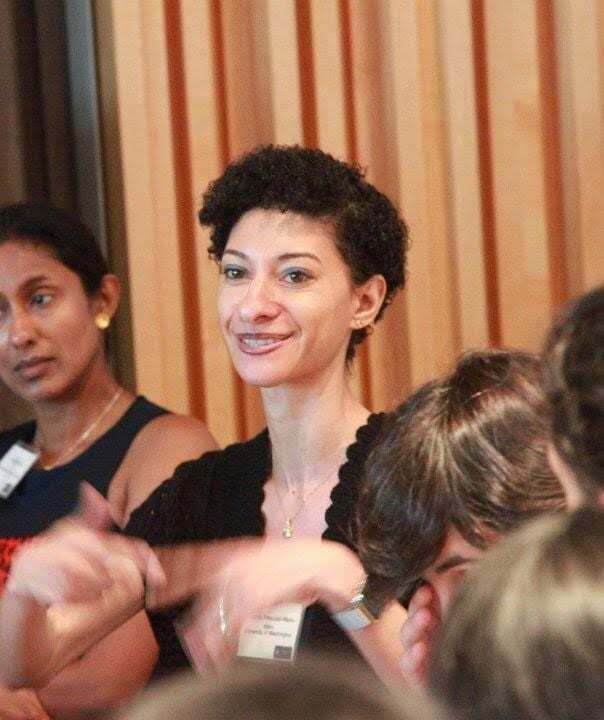 Chanda Prescod-Weinstein: I really think the suggestion that participation in the event signals that one holds anti-Semitic beliefs is ridiculous. Let’s say that I agree that the Women’s March organizers are guilty of anti-Semitism, which I don’t. Even then, I believe the real threat to Jews are the people propping up the current Presidential administration, including Senate leaders as well as Jared Kushner and Ivanka Trump, who are effectively acting as this administration’s Jewish shields. The current commander in chief of the U.S. armed forces is a white nationalist. I can’t think of anything more threatening to Jews than that, yet people seem obsessed with Tamika Mallory’s views, even though she’s never threatened anyone. theGrio: What did the Women’s March leadership get wrong in their response? What are they still getting wrong? 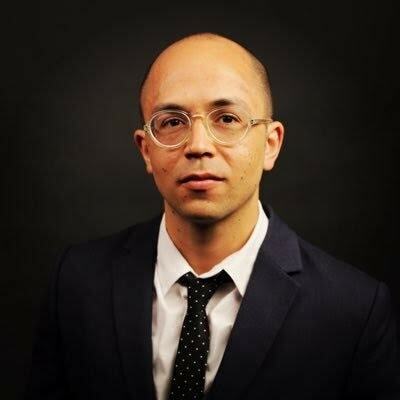 Adam Serwer: It is a perfectly reasonable to ask for a more forceful and specific rejection of Farrakhan’s anti-Semitism and I don’t begrudge anyone who feels that they can’t work with the Women’s March without that. At the same time, if people want to keep giving them the benefit of the doubt, or see an opportunity to help them understand why so many Jews feel so strongly about this, that’s perfectly legitimate. Chanda Prescod-Weinstein: Tamika Mallory has put multiple movements at risk with her refusal to denounce the anti-Semitic patriarch opportunist Louis Farrakhan. By continuing to publicly support him, she is sharing her feminist platform with a homophobic, pro-Scientologist misogynist who is also deeply committed to anti-Semitism. Even as I understand why Mallory feels personally indebted to him, there are more people involved in her choices than just her family now. 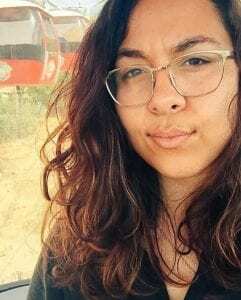 Rebecca Pierce: There have been instances where the rightful critique of Farrakhan was reduced to guilt by association tactics used to dismiss the voices of both Black and Palestinian women wholesale, in a way that harms all of us who struggle for justice. Black and Palestinian communities have deep and longstanding relationships that cannot be reduced to simply anti-Semitism or support for Farrakhan. While this can be challenging to see for some in the Jewish community, the pitting of our communities against each other helps no one. theGrio: Each of you live and work at the intersection of multiple identities as Black, Jewish, feminists. What do we need to understand about this intersection to inform progressive efforts? Chanda Prescod-Weinstein: Anti-Semitism is anti-Black. Black Jews exist. Black Jews by birth exist; Black Jews by choice exist. We come in all shades. We are Ashkenazi, Sephardi, Mizrahi, and Ethiopian, and many other ethnic and national heritages. When you talk about “The Jews” you are talking about Black people too, whether you meant it or not. Any attack on Jewish people is an attack on Black Jews too. Black Jewish women have been especially caught in the middle in these discussions, targeted especially in the press and on social media. Adam Serwer: In any diverse coalition there is going to be friction, because different groups of people have different fears, desires, priorities and traumas. The fact that conflict exists doesn’t mean that it can’t be resolved, as long as people are willing to interact in good faith with each other. Rebecca Pierce: In the Jewish community, we have a lot of our own struggles, debates, and flawed leaders who leave many of us behind for the sake of old prejudices and easy ways out. 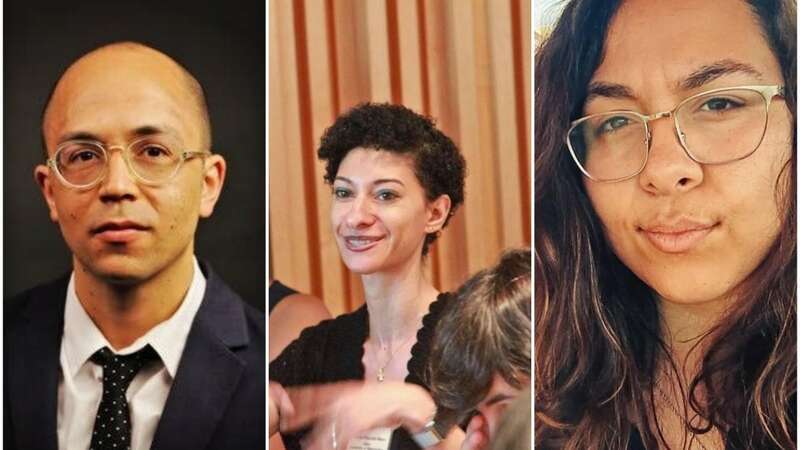 As Jews of Color gain more of a voice we also see a pushback to that which seeks to avoid asking the difficult questions of inclusion and discrimination in our communities. I see coalitions like the Women’s March as being rich with the potential for all of us to support and learn from each other. Nobody can get free alone, but if we can learn to face complexity with grace and accountability, we can be so much stronger together. Melissa Harris-Perry, PhD. is the Maya Angelou Presidential Chair at Wake Forest University and the founding director of the Anna Julia Cooper Center. She is also founder and co-director of the innovative bi-partisan program, Wake the Vote. Besides being the editor-at-large for Elle.com, Perry has also contributed her writing to the Wall Street Journal, New York Times, Chicago Tribune, and many other print and digital venues. Follow her on Twitter at @MHarrisPerry.